I am feeling so happy right now. I won my match 5-1 at the pool league (8-ball APA south bay) today. This win puts an end to my losing streak of over 6 weeks now. I also got my trophy from last season. 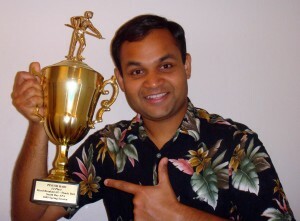 Our team had come first in the 2009 South Bay APA 8-ball league.